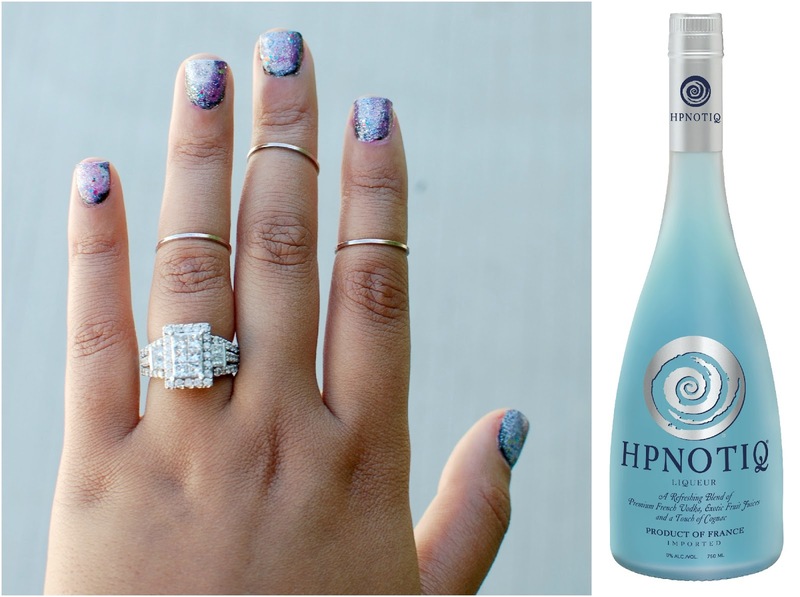 Hpnotiq's Bling It On! Enter Your Glam Nails to Win! Hey guys! I'm switching things up a little bit today and bringing you something SO FUN! Hpnotiq is hosting the Glam Louder Bling It On! Contest and Sweepstakes and I was lucky enough to have them reach out to me to help promote this awesome event! I was instantly excited when I heard that this promotion contest is focused on nails! I'm always looking for fun nail ideas, but never really get the chance to implement those ides, so this was the perfect excuse. Below you will find all of the info you'll need! Ready to Bling It On!? Here are the glamorous prizes that are up for grabs: One year of manis/pedis worth up to $1,200, a $1,000 gift card to Sephora or Ulta, AND a chance to win the grand prize trip for you and three friends to go shopping with a celebrity in Los Angeles! Even better - the grand prize winner will star in a professional photo shoot for the chance to be in a real Hpnotiq Ad! This is such a fun contest, you guys! I am so excited to be promoting this event and to be sharing with you all! For the contest, I decided to venture out and try to do my own! You'll see my sad attempt at doing galaxy nails! You can find the full contest rules HERE. You guys should seriously all enter! It was so fun to try something new and creative with my nails. If you do, be sure to send me a pic! I'd love to see them all! This is a sponsored post for Hpnotiq. Um sad attempt? They look amazing!! I tried once too and it was just awful. It came right off! Haha and holy gorgeous ring girl!